Xmas Santa Set: Include Stereo Puzzle (Wireless Speaker), Xmas Tree, and Beard! Have no idea about Xmas gifts & exchanging gift? Here we present you “Mono Santa Set of Stereo Puzzle"! 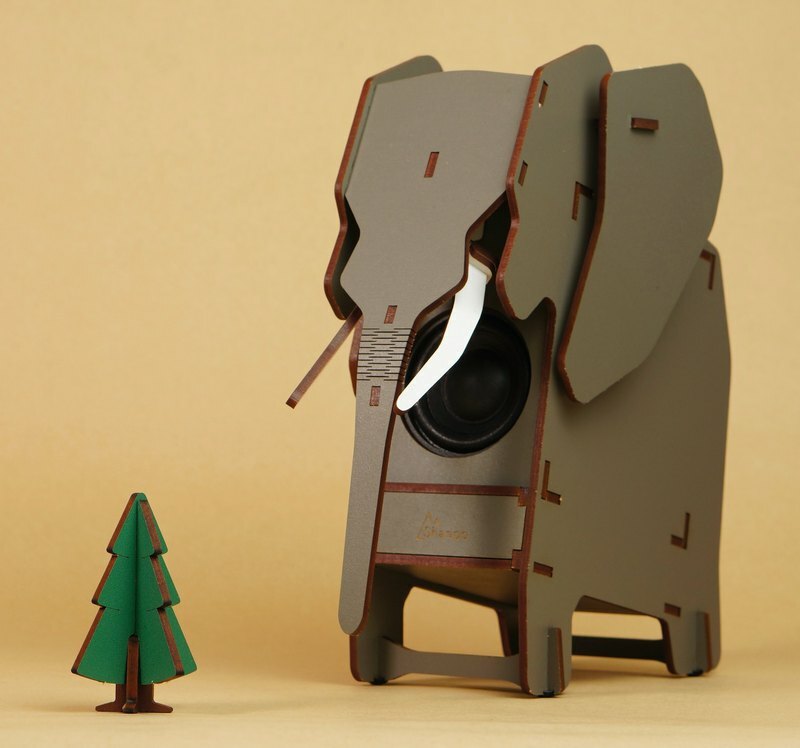 Transform your Moai & Bear Speaker into your personal Santa Claus! https://c2.staticflickr.com/6/5697/31204821072_c4995329dd_b.jpg ▲Shanpo's new release, Mono Santa Set including: - Stereo Puzzle - Mono Speaker https://www.pinkoi.com/product/1yGiXmJ4 - Little Xmas Tree & Santa's Beard https://www.pinkoi.com/product/bjZTU7Ei?category=11 Now, you can bring the set home with discounted price !! Let's puzzle your own speaker now! Or give this special Xmas gift to a special friend :) With this set, you can decorate your a Xmas style desk. Let your own Santa Claus, Moai or Bear, sing Jingle Bell for you. https://c2.staticflickr.com/6/5604/31349022305_d35d8c6dd5_b.jpg ▲Moai wearing Santa's beard "HO HO HO~ Santa Bear is coming to your desk!" https://c2.staticflickr.com/6/5328/30541294193_3320f93602_b.jpg https://c2.staticflickr.com/6/5460/30541291333_f4ee1b1d62_b.jpg ▲Little Xmas Tree & the Beard https://c2.staticflickr.com/6/5673/30526561234_496926f99a_b.jpg https://c2.staticflickr.com/6/5607/31233895771_76e97cefb8_b.jpg https://c2.staticflickr.com/6/5562/31204817512_b1de2cca78_b.jpg ►Browse other designs from "Xmas on Your Desk" Series ▪ "Sika Deer" Sleigh: https://www.pinkoi.com/product/2udw6Gwg?category=8 ▪ Little Xmas Tree & Santa's Beard: https://www.pinkoi.com/product/bjZTU7Ei?category=11 ▪ Stereo Santa Set (Stereo Speakers): https://www.pinkoi.com/product/hS93LTA9?category=11 ▪ Luxury Santa Set (1.1 Channel Speakers): https://www.pinkoi.com/product/hWV9Rjut?category=11 ＝＝＝＝＝＝＝＝＝＝＝＝＝＝＝＝ “When was the last time you are not handcuffed by technology and enjoyed creating things by your bare hands?” —— Stereo Puzzle will bring you a whole new assembly experience and change your established impression on speakers. https://www.youtube.com/watch?v=ozF0Jr_Ixck **Stereo Puzzle** A DIY speaker designed and made in Taiwan. https://c2.staticflickr.com/6/5724/22786812462_8eb3786ae3_b.jpg - Bringing you a whole new assembly experience - Puzzle your own Speaker by your bare hands **Combine Fun and Functionality** https://c1.staticflickr.com/1/625/21744907525_1ed5c411d7_c.jpg You can assemble not only the shape but also the inside parts. We design the circuit box, transforming the difficult part into a wooden puzzle box that can be easily assembled. **The structures** https://c1.staticflickr.com/1/628/21432458748_cc527d5b9a_k.jpg - Inverted tube: enhance bass - Sound-absorbing material: absorb noise - Rubber feet: prevent shock and slip All those details are to be assembled by your bare hands, without having to use any tools. **Assembly guide of 3 levels** https://c2.staticflickr.com/4/3827/33679133575_9e1dcf754f_b.jpg We suggest to try Challenge level first, so you can fully experience the Stereo Puzzle enchantment. :) “I'm born in Challenge”, says Moai. https://c1.staticflickr.com/1/681/20999163323_fb9c84fe1a_k.jpg https://c2.staticflickr.com/6/5821/21433825510_8eac9f9c87_k.jpg https://c2.staticflickr.com/6/5816/22180986393_897e8f6de9_b.jpg https://c2.staticflickr.com/6/5722/22382671197_83e00f8d11_b.jpg **You first DIY Speaker** https://c2.staticflickr.com/6/5704/22811661841_2bb9029014_b.jpg You can also do your own drawing on Stereo Puzzle~ https://c2.staticflickr.com/8/7422/27071325514_272a9c0161_b.jpg It's also a special gift for a friend. Many Accessories are available. Choose your favorite! https://c2.staticflickr.com/6/5810/22533861672_ec57f69eb7_c.jpg Moai's friend - Otto the Owl: https://www.pinkoi.com/product/17dPsznY?category=8 Trial listening of Stereo Puzzle :) https://www.youtube.com/watch?v=Zs5G5Kp2MFE **Specification** Stereo Puzzle - Mono Speaker • Size: 80 x 120 x 230 mm • Power: 3W • Electric Input: 5V, via USB • Made in Taiwan **About Shanpo Team** Two young men, friends since child. "Shanpo" is where we usually play together since our childhood. We aim to create special products that bring fun and functionality in the same time. **Awards & Certifications** ・Taiwan utility model patent & BSMI certification ・China utility model patent ・1st Place & Most Popular Award of Cultural & Creative Contest held by Ministry of Culture. ・Stereo Puzzle founded 500% of the target on a crowd-fund site of Taiwan **Customer Service** - Stereo Puzzle contains consumables, so you can’t return after using it. - 1-year warranty - Shanpo guarantees to repair speakers if there’s problem during warranty. - Information about warranty is in the user manual.